Studying is better together. Gather a couple friends, keep each other motivated, and PWN the math on the SAT. 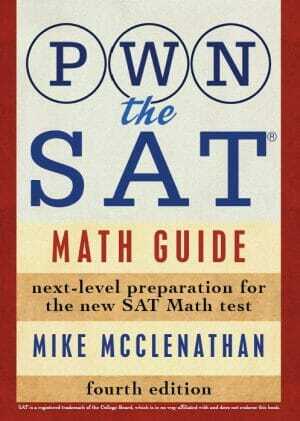 The PWN the SAT Math Guide was created to help ambitious, highly motivated students maximize their SAT math scores. Do you crave a higher score? Are you willing to do a little hard work to achieve that? Good. I knew I liked you. Read this book from beginning to end, with a pencil in hand and a calculator and an Official SAT Study Guide by your side. When you’re done, you’ll be able to approach the SAT with confidence—very few questions will surprise you, and even fewer will be able to withstand your withering attacks. This book was fully redesigned for the new SAT and is meant to be used alongside official SAT practice tests. Note that this book is also available at Amazon or digitally through the Google Play store.